The Pixel 3 looks a lot like earlier Google phones, but it packs a lot of interesting features under the hood. These improvements represent the latest implementation of Google's DeepMind initiative. 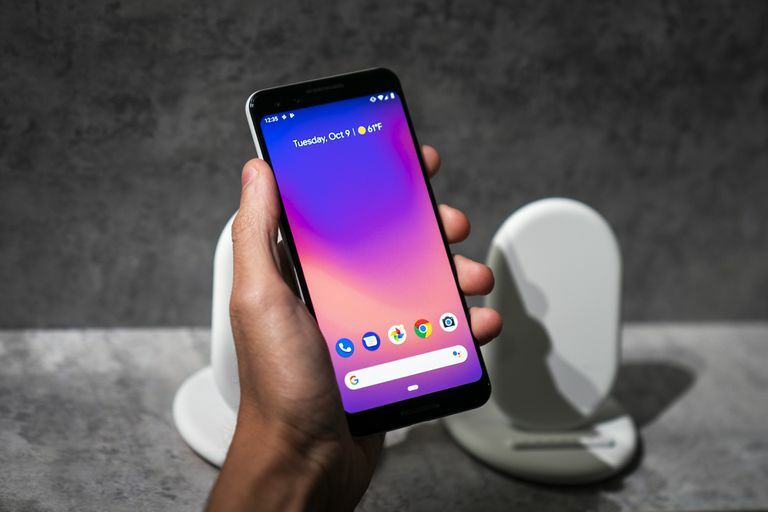 Features described in this article apply to Google Pixel 3 and Pixel 3XL Android smartphones. What's New in the Pixel 3? The most impressive features of the Google Pixel 3 rely on artificial intelligence (AI) and machine learning to get the most out of the dual front-facing cameras and the single rear camera. Other cool features, like expanded functionality for Google Assistant, also leverage AI. Additionally, the Pixel 3 offers enhanced security through a custom-designed chip and wireless charging by Qi technology. If you just got a Pixel 3, or you're thinking about purchasing one, there are plenty of features that will impress you. Take high-resolution pictures from far away. Not as powerful as a true optical zoom from a dual or triple lens setup. Only has a single rear camera. Ever notice how blurry photos look when you zoom in on them using an older phone? Google has fixed this problem with the Pixel 3. Using the power of AI, the Super Zoom feature takes a closer look at your pictures without losing quality. Capture group shots without cutting anyone out of the picture. The wide angle camera isn't as good as the camera on the Samsung Galaxy Note 9. The Pixel 3 is equipped with two front-facing cameras. One camera has a wide angle lens and the other has a normal field of view, which is how the phone takes wide-angle selfies. No more snapping endless shots to get a good one. Don't have to manually sift through each snap. Ideal for capturing subjects in motion. Saves pictures captured with Top Shot at a lower resolution. Photo backgrounds may look blurry. Top Shot works a lot like motion photo features that take a short video before and after you snap a picture. Instead of taking a video, it takes a series of still photos and then uses artificial intelligence to automatically find one where everyone is looking at the camera, smiling, and not blinking. Take photos in the dark without anyone knowing. Superior to other alternatives for capturing photos in the dark. Photos look noticeably different than those taken in natural light. This is another impressive implementation of artificial intelligence that takes pictures in low light without using a flash. Night Sight relies on machine learning to automatically alter the colors and other aspects of photographs taken in low light to make it seem like the photos were taken in full daylight. Recognizes written or printed phone numbers and saves them to the phone. No internet connection required for many tasks. Google Lens is available for many Android phones, but the exact implementation varies based on the manufacturer, carrier, age of the phone, and the Android version. Pixel 3 comes with native Google Lens installed in the viewfinder, so it identifies objects and provides relevant information in real time with no user input required. Works better than most third-party augmented reality apps. Other AR apps offer more options. If you have fond memories of the dancing hot dog from Snapchat, then you may get a kick out of Playground. This feature taps into Google's AI expertise to intelligently place animated characters into photos and videos in real time, anchoring them to the ground as if they were really there. It's like having a personal assistant to manage your calls. No more refusing calls from unknown numbers. Might annoy people who call you frequently. Callers may hang up when they hear an automated message. Google flexes its artificial intelligence muscles again with phone call screening on Pixel 3. With this feature enabled, Google Assistant answers the phone for you. You have some control over what it says, and you can choose to answer the call as normal if you want. Turns your phone into a Google Home smart assistant. Control your smart appliances with voice commands. Amazon did it first with the Fire tablet stand. If you aren't interested in the Google Home Hub-like mode, find a cheaper wireless charger. The Pixel 3 has a soft-touch glass back, and it works with Qi wireless charging stations. If you set a Pixel 3 on the Pixel 3 stand, it activates a mode that mimics Google Home Hub in addition to charging. You can also use any compatible Qi charger if all you want to do is juice up the battery. Protects your personal information and files from hackers on the web. Advanced features for locking your device and apps. Due to a lack of information from Google, it isn't exactly clear what the Titan M does or how it does it. The Titan M is a chip that Google designed specifically for the Pixel 3, Pixel 3 XL, and the Pixel Slate. Information from Google is sparse as to the particulars, but it's basically there to improve the security of the Pixel 3. Comes in handy when you want to leave your phone on but don't want to be bothered. Silence your phone as soon as it goes off at an inappropriate time. Flipping your phone too forcefully can damage the screen. Can cause you to miss important notifications. This is a feature that's been around for a while, but it comes to Google's flagship line for the first time with the Pixel 3. If you need a little peace and quiet, flip the Pixel 3 over, and it automatically silences all notifications.